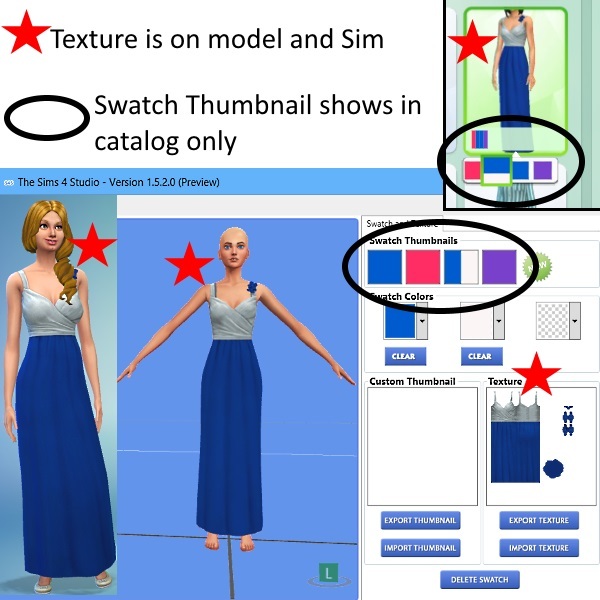 This tutorial will show you how to make a standalone recolor with custom thumbnail and swatch thumbnails with multiple colors using Sims 4 Studio. I used Paint.Net to make changes to the .dds image as it is a free 2D editor but any 2D editor that can make alpha images will work. Open the tool and type your creator name in the creator name box if you have not already done so. 1. 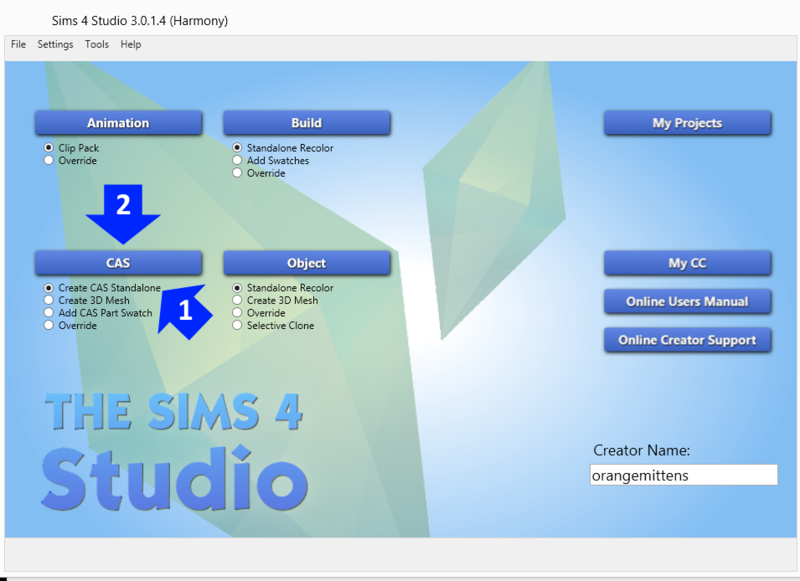 Click the radio button next to the Create CAS Standalone option. 2. Click the CAS button. 3. Click the thumbnail image of the item you wish to clone. *Optional - you can use the drop down menus at the top to sort the thumbnail list. This makes it easier to find what you want. 4. Click the Next button. Enter the name you want your package to have in the File name line of the Save As box and click Save. There will be a brief wait as the tool loads your item onto the model in the model viewer window. 5. 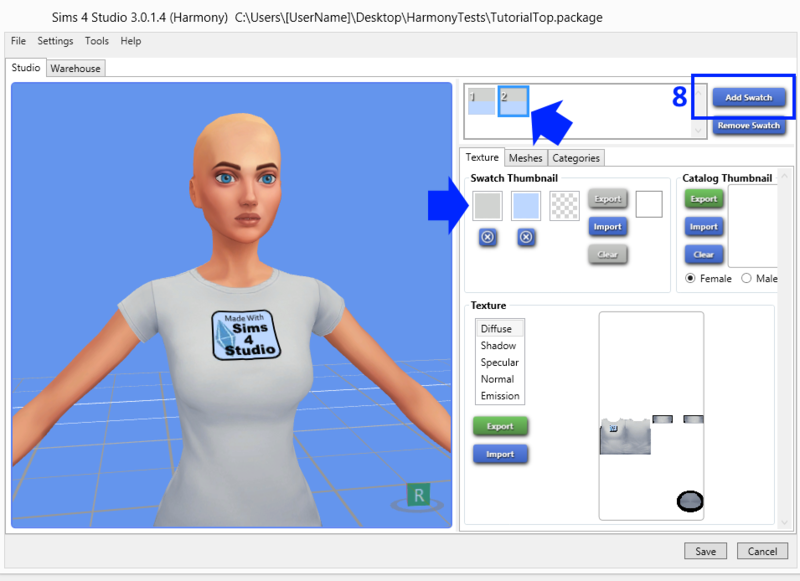 You will then see the garment you selected displayed on the model in the model viewer. By default you will see the Texture tab displayed and the Diffuse image will be selected. The diffuse is the main image that shows the color/pattern of the garment fabric. Click the Export button as shown below. A popup box will appear. You can choose to export as .png or .dds. I use .png but you can use either. Enter a name for your image in the File name line of the Save As box and click Save. Your project folder will then pop up showing that your image has been saved within it. Open the image in your 2D editor and make the changes to it you want to make. Save your image as a 32-bit .png or as a DirectDraw Surface (dds) as DXT5 (Interpolated Alpha). Most people find it easier to work with .png but Studio will accept either image type. Make sure you have a check mark in the box for Generate Mip Maps if you are using .dds, otherwise you will get an error later on. 7. Go back to Sims 4 Studio. Click the Import button. When the popup appears, navigate to your saved image, select it and click the Open button. There will be a brief wait and then your new texture will appear on the model in the model viewer and in the Texture box. If you want to change the swatch thumbnail color to match your new texture, right mouse click in the first swatch thumbnail box to get the eye dropper tool. 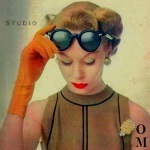 Drag the eye dropper over to the model and use it to pick a color for the first swatch thumbnail box. You can choose up to three different swatch colors. 8. If you want to make a second swatch for your recolor, click the Add Swatch button in the upper-right part of the screen. A second Swatch Thumbnail box will be added and, by default, it will have the same swatch thumbnail colors you selected for the first swatch (as shown by the arrows below). Import your new texture just as in step 7. Change the swatch thumbnail colors to match the new swatch. Click the Import Thumbnail button under the Custom Thumbnail box and browse to where you have saved the image. Your custom thumbnail should be 64 x 64 pixels and it should be saved as a 32-bit .png or as a .dds DXT5 (interpolated alpha) with generate mip maps checked. You will see it appear in the Custom Thumbnail box. indicating that your project is saved and you may begin a new one if you like. the item in the game. Please do not PM me with questions about projects or getting Studio to run on your computer. I do not answer these PMs. Do know your images are not showing up? Access denied to try to view them even as a registered user. Thank you for letting me know. I'm going to get them all fixed. Thanks you so much, I can see all of the images now! Thanks for the great tutorials too! You're welcome I'm glad it's all showing up now...thank you for letting me know the fix worked. System.IO.EndOfStreamException: Unable to read beyond the end of the stream. Would you mind posting the .dds that is causing the problem? Am I correct in thinking you received the error from S4S while doing a recolor and importing the .dds into S4S? Hi azqaz, I am guessing that you cloned the Scallop bra. 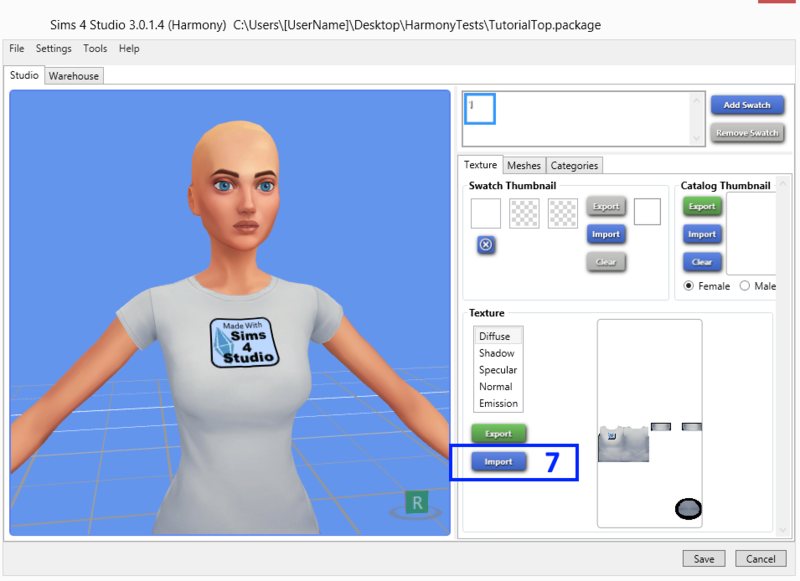 This bra has a couple of images which will leave a residual mark on the Sim after removing the bra straps from the main texture you see when you do a recolor with S4S. One of these is being pulled into the .package and you can edit it using s4pe. However, one of them is inside of the bra's GEOM. Currently, there is no easy way to get around this problem with a recolor item. We're working on finding solutions for odd items like this bra but at the moment I cannot really give you a better answer. I may not be able to avoid growing old, but I can certainly resist growing up! Shylaria, you can try playing around with the hue and saturation features of your 2D editor. For some of EA's clothes this can result in very nice changes to the color. Thank you, I did try that and it worked My next question is... I have a jpg of a swatch of pretty pink lace. 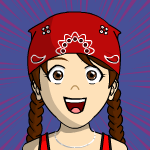 Is there a way to add that layer over a female tee shirt in Paint.net? I'm most familiar with Photobie which is extremely layer friendly. Layers seem to be a bit more difficult to use in Paint.net atleast right now since Im not familiar with how to handle layers with that program. Any ideas or suggestions? 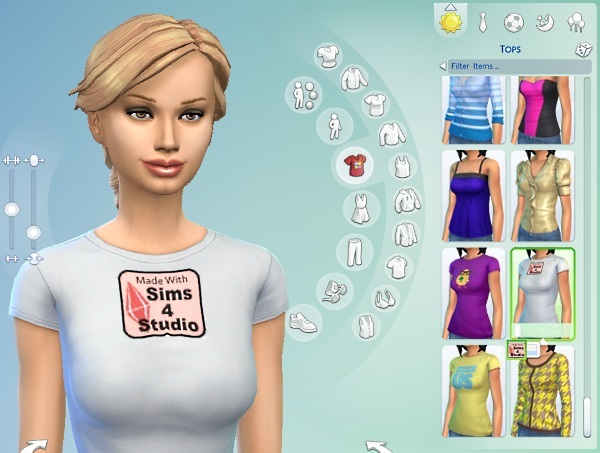 Oh and I did succeed in making my first Sims 4 Childs tee shirt with a pumpkin on the front. Im so proud of myself. Atleast Iv turned the key, now I need to learn to really "drive" the program. LOL And if from my Sims 4 selfie I look like a senior, I am in fact. Will be 63 the end of this month.